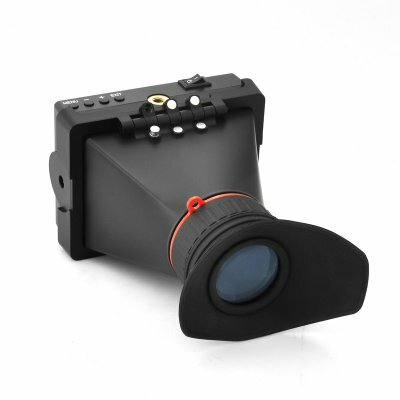 Successfully Added 3.5 Inch Electronic Viewfinder "Geographic" - For DSLR/HDV Camera, HDMI, 800x480 to your Shopping Cart. 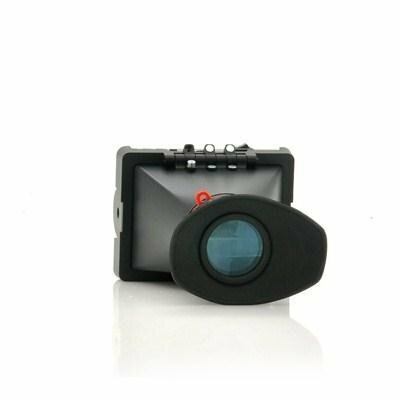 Electronic Viewfinder with a LED display features a 3.5 inch HD screen, 800x480 resolution and 800:1 contrast ratio is a great additional accessory to any DSLR or HDV camera. Become the next Steven Spielberg with Chinavasion’s latest camera accessory, the 3.5 inch EVF “Geographic”. The 3.5 inch display that is with the “Geographic” has a 800x480 resolution as well as a 800:1 contrast to provide a clear image for when you are viewing. The LED display can also support 16.7 million colors and has a viewing angle ranging 160 degrees horizontal and vertical therefore allowing it to be adjusted to suit your requirements. Full HD 1080P is supported by the HDMI connectors that also allows loop through. The optical loupe has an adjustable diopter and can be detached completely or flipped open to view the display as a monitor. A diopter, is a unit of measurement of the optical power of a lens or curved mirror, which is equal to the reciprocal of the focal length measured in meters. The “Geographic” electronic view finder has a comprehensive set of features, functions and modes. These modes include peaking filter in white, 5D camera in full screen mode, also check field, screen marker, center marker and monochrome mode. The peaking filter outlines the edges of the objects that are in focus with white highlights. Monochrome mode displays the image in black and white or isolates the blue, red and green channels. This “Geographic” EVF has a DC 7-24V power input and includes a Canon LP-E6 battery port for connecting to a Canon 5D/7D LP-E6 battery. Canon’s LP-EG battery is supported by the “Geographic” EVF as there is a pre-installed battery port. This 3.5 inch electronic viewfinder with a LED display is a great addition to anybody wanting to get the best out of their recordings. Order now and this product will be dispatched within 24 hours with a 12 month warranty. Brought to you by the leaders in wholesale electronics and camera accessories, Chinavasion. This Electronic Viewfinder has a battery port that is compatible with a Canon LP-E6 battery.